This looks like it's going to be really good. If you are in the area it could be fun! Posted on May 23, 2018 by Adamu Waziri and tagged news. Bino and Fino Come to HiTV!! Guess what is coming to HiTV in the UK this weekend. 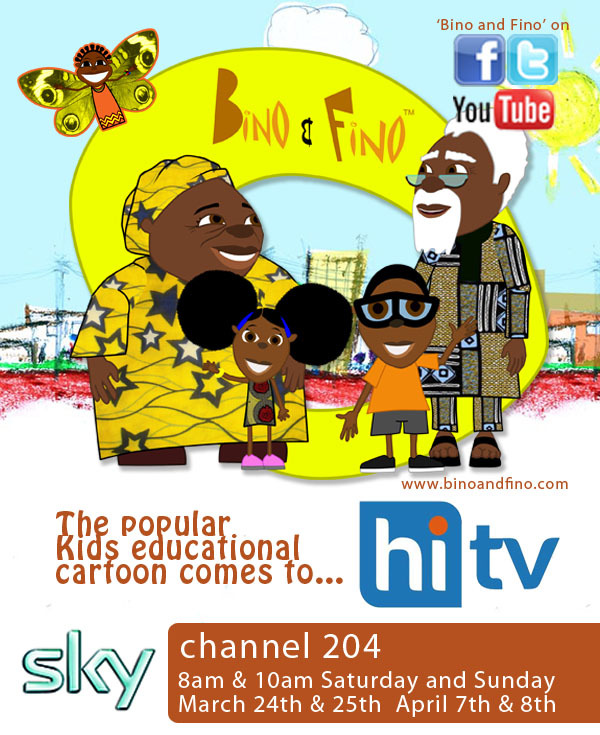 That’s right, Bino and Fino, the popular kids educational cartoon from Nigeria! HiTV UK is on Sky channel 204. Bino and Fino will be showing at 8am and 10am this Saturday 24th and Sunday 25th. It will also be shown in April on the 7th and 8th at the same times. Have a great weekend everyone! Posted on March 23, 2012 by Adamu Waziri and filed under News and tagged news.